chung n'a pas de présentation personnelle pour le moment. 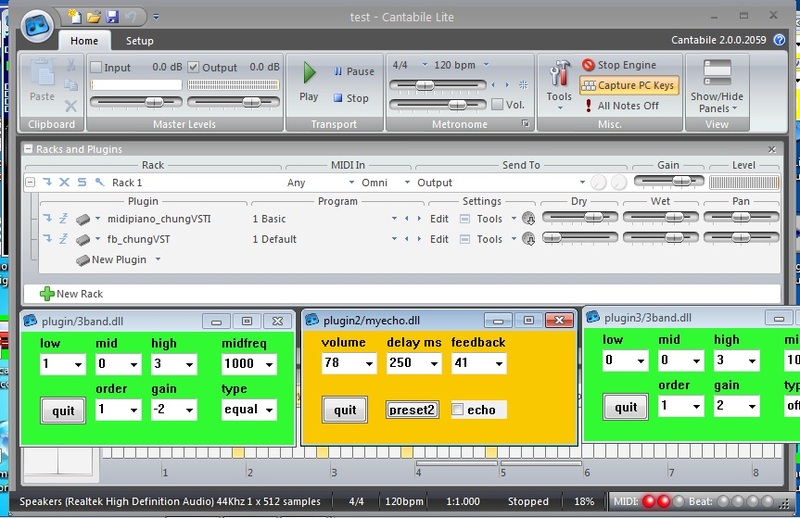 fb_chungVST is an audio multi effects VST loading simplified dlls written in high level language (like freebasic) .you can add a simplified dll plugin in the /plugin/ /plugin2/ /plugin3/ folders it will be automaticaly recognized and loaded. Included 4echo_chungVST example (4 combined echos). 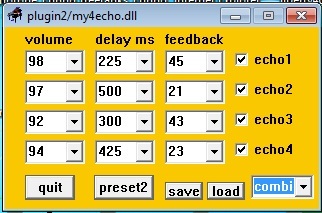 myecho.dll / my3band.dll / my4echo.dll with code source are provided as example (freebasic) . 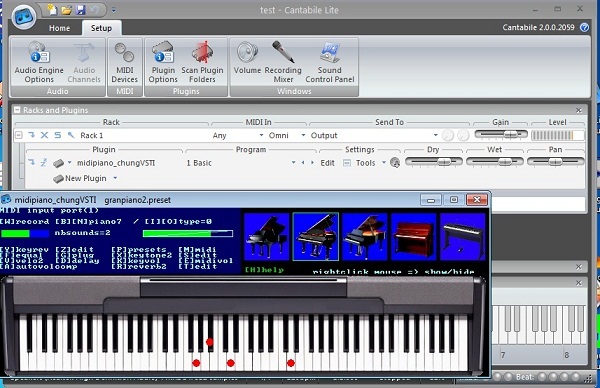 the dlls can be easily written in freebasic or any dll compatible language (c++,VBasic,...),giving you easy access to high level programming facilities (file access,gui windows,graghics) without needing special knowledge of the VST sdk (c++).  mp3tomid_chung is an mp3 to midi realtime convertor trial i have written in freebasic with fbsound. Les autres utilisateurs n'ont laissé aucun commentaire pour chung.